Newsletter August 2017 - Bridging Gaps e.V. Dear members, supporters and interested parties of Bridging Gaps e.V.! We are very pleased that you are interested in Bridging Gaps e.V. Since we are a young club and our members have many new project ideas, the newsletter is a great opportunity to be regularly informed about our latest activities. 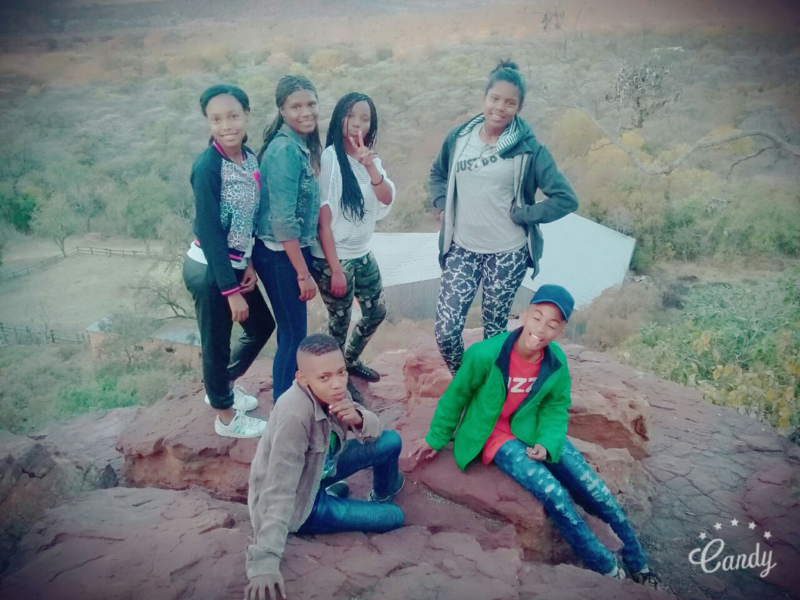 Our German-South African youth exchange, new workshop concepts and a contribution from Kershia Elverouscha from South Africa – do not miss anything here! Bridging Gaps is organizing this large-scale project with the support of Engagement Global as part of the “German-African Youth Initiative”. Ten young people from Germany and South Africa participate. The aim is to bring new perspectives to global processes and to sensitize them to societal and global inequalities. The exchange consists of an accompanying program and two encounters, where a further 30 young people will participate in a program week. The special feature of our exchange program is the high degree to which the young people are involved and take responsibility. We encourage all young people to remain socially committed after the completion of the project. In this regard, we are greatly benefiting from the experience of our South African youth leaders, who as multipliers are continually developing the “Bridges Camp”. Many of our members want us to work more with young people in Germany as well, which became clear at our last meeting in Constance. Since then, a lot has happened: one team designed a manual for school workshops, and another developed a bridging gaps introductory program for potential workshople. From 23.-25.05. 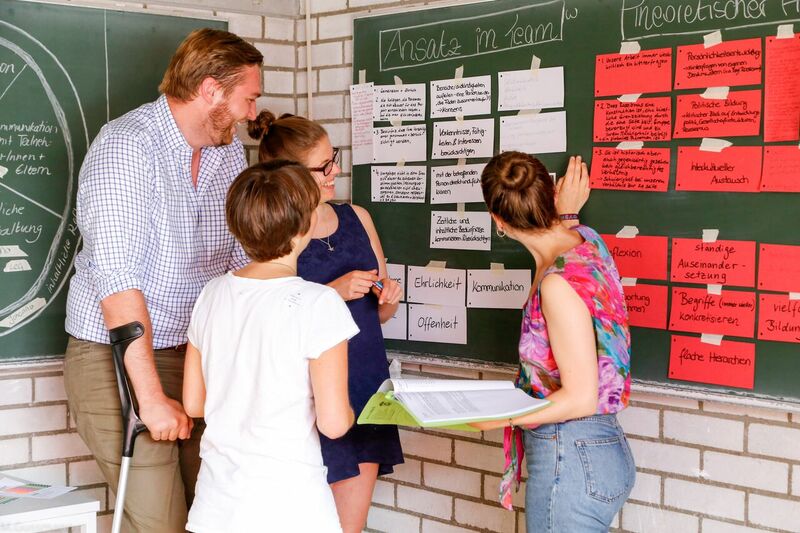 It was time for this: in Nuremberg, ten young people met for an intensive weekend where we talked about racism definitions and discussed the Bridging Gaps approach. On Saturday, a lecturer from the organization “Bildung trifft Entwicklung” gave a lecture on the subject of global learning. We also discussed our own position in society. There was much discussion and the weekend provided important impulses for further project development. In the coming months, we will be working intensively on how best to train our workshow leaders who share our vision. The first Bridging Gaps Theaterworkshop in Tübingen was a complete success. 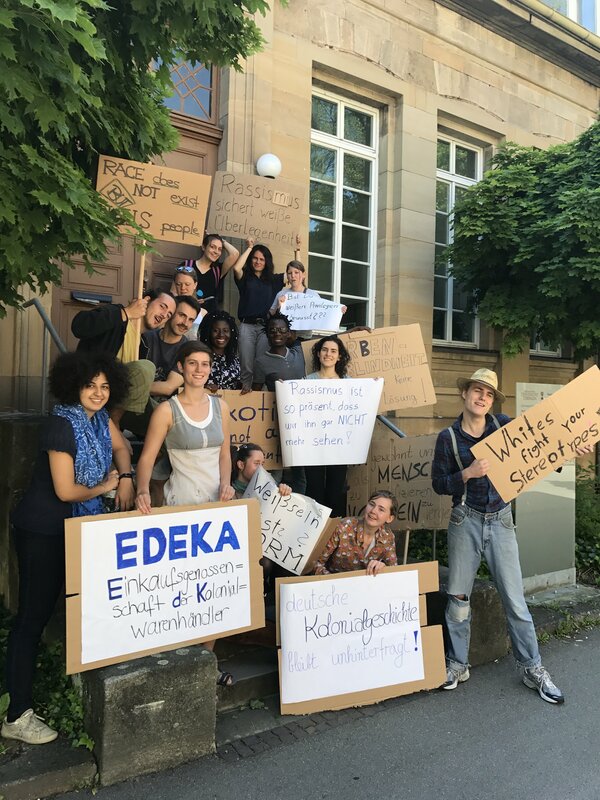 The experienced actor and director Mbene Mbunga Mwambene and Marlene Gärtner of Bridging Gaps led the participants in a partial, exuberant, partly highly concentrated work atmosphere to various forms of expression of the theater and the topic of everyday racism in Germany. In the three days (26.5-28.5) they developed short performances, which built on their group worksthems (language and racism, postcolonial perspectives, critical whiteness, everyday racism). All their individual talents – from beatboxing to violin to a yoga performance – brought their message. The audience enjoyed the sunny Tübingen Park, and the group was proud of what they had achieved. We spent a great weekend (30th of June – 2nd of July) with eight supervisors in training (SIT’S) and five supervisors. We created spaces for ourselves to reflect on the previous and upcoming camps and all those new ideas how to make the next camp a success put smiles on our faces. Well, when we first saw the many pages we had to read during our free time it wasn’t pleasant, but then when we took the papers and all gathered in one bedroom. That was really nice because we were bonding and opening up to each other. The weekend away was very helpful because we went as individuals and came back as the planning team of Bridges Camp. It brought us closer together and we earned each other’s trust. The first day we made a list of what we expect of the weekend away and at the end of the weekend I am glad to say that we achieved most of it and we are confident to also achieve our long time goals. We can’t wait for the next camp to make it a success story like those before. Thanks to all who believe in us! Thank you so much for your interest in Bridging Gaps e.V.! Your Bridging Gaps e.V. Team!